 Action Communication Technology, Inc. has installed and revived data closets in the Houston area for over 24 years; providing a more organized solution for your data needs. Jack Wallen has a written an article for TechRepublic where he has devised a list 10 of important tips for keeping your data closets cool and providing some excellent advice on data center practices. Separate data cables from power lines. Following these guidelines and planning ahead will allow your data closets to stay organized and will keep your data systems working properly.